In this sequel to The Queen's Rising, Brienna has chosen passion over blood, but can she put her country before her heart? Perfect for fans of SIX OF CROWS and Sarah J. Maas. In this sequel to The Queen's Rising, Brienna has chosen passion over blood, but can she put her country before her heart? Perfect for fans of SIX OF CROWS and Sarah J. Maas. Finally, Brienna is a mistress of knowledge and is settling into her role as the daughter of Davin MacQuinn, a disgraced lord who returned to Maevana to reclaim his house. 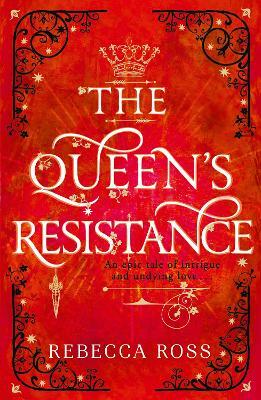 Though she's just survived a revolution, one that will finally return a queen to the throne, she faces another difficult challenge. She must prove herself trustworthy to the MacQuinns. But as Queen Isolde Kavanagh's closest confidant, she'll have to balance serving her father's house as well as her country. And then there's Cartie Evariste, a wholly separate factor in her new life. Now known as Aodhan Morgane, Cartier is adjusting to the stark contrast between his pre-rebellion life in Valenia as a master of knowledge and his current one as the lord of a fallen house. During his castle's restoration, he discovers a ten-year-old boy named Tomas, whose past and parentage are a complete mystery. So when Cartier's former pupil Brienna is as fond of Tomas as he is, he lets his mind wander - what if he doesn't have to raise him or his house alone? As the Lannon trial rapidly approaches, Brienna and Cartier must put their feelings aside to concentrate on forging alliances, executing justice, and ensuring that no one interferes with the queen's coronation. But resistance is rumbling among the old regime's supporters, who are desperate to find a weakness in the rebels' forces. And nothing makes a person more vulnerable than deep-seated love. Rebecca Ross grew up in Georgia, USA, where she continues to reside with her husband. She received her bachelor's degree in English from UGA. In the past she has worked at a Colorado dude ranch, as a school librarian and as a live-time captionist for a college.